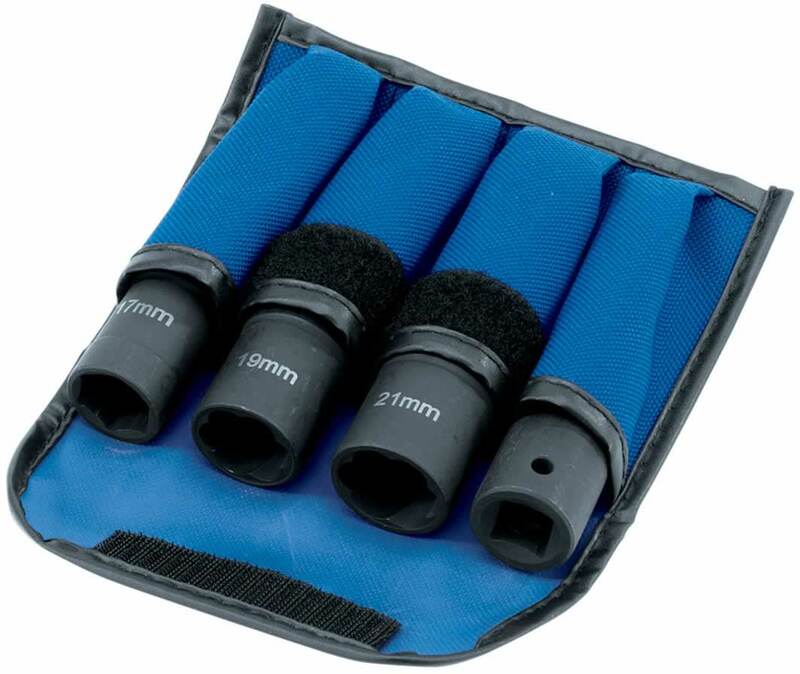 Expert Quality, three double-ended impact sockets size 17, 19 and 21mm. One end is hexagon 6pt and the other a reverse conical gripper thread for the removal of locking wheel nuts. Supplied complete with a 1/2" sq. dr. 75mm impact extension bar. Packed in a nylon wallet with hook and loop closure in display carton.